Telsa’s are like humans and feeling well at an ambient temperature around 70 F or 20 C. In cold and hot regions it is important to keep the batterie pack around this temperature. The best way to do this is to connect the car to a power outlet where ever possible. Even during driving the batterie pack create heat due the power output. So in colder regions you are always doing good if the car is consuming power even at a lower temperature. Please remember that for heating and cooling the car has to take the energy from its own batterie pack. So always plug in as long as you can. For finding a charger we recommend the Plug-share App. Basically there are only a few things you would need to know about basic charging. First is how are watt (W) or kilowatt (kW) calculated. When I talk about kW then it is rather kWh. If you take a regular outlet in the US that has 120 Volt (V) with usually 12 Ampere (A). You multiply the V by the A and you will get 120 x 12 1440 Watt or 1.44 kW. Sometime you might also get 15 Ampere and so you will get 120 x 15 = 1800 Watt. That equal to a maximum use of a big hairdryer. Level 1 charging is nothing else as a regular house hold plug 120 V by 12 or 15 Ampere. All in AC (alternative current) Below is a picture based on L1 charging. 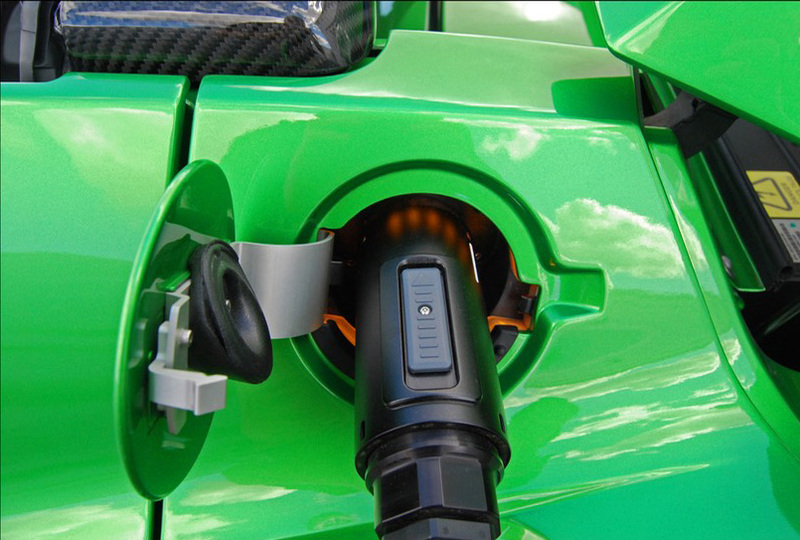 L1 charging is compared to gasoline cars to fuel up your gas tank with a straw. You can use this type of charging to keep that battery or car cool and the avoid draining the battery back during long times of non using the car. Level 2 charging is similar to a house hold dryer outlet. All in AC (alternative current) The regular outlet are now twice as much 240 V by 30 Ampere. This will get you 7.2 kW. In many public charging station you might however only get 200 V by 30 Ampere. So this equals to 6 kW per hour. Now a roaster has 56 kW and the big battery package of the Model S has 85 kW. You divide the battery pack by the kW you are getting from the charger and you have the time the charge should be charged. Please remember that once you are getting close to the 100 % you should expect a slower charge, because most of the cell might already be completely loaded. Many times we wished I had higher Amperage on the public chargers, because the roadster could take 70 A and the Model S even 80 A. Even when we are in contact with many charging companies they do not listen to our request. 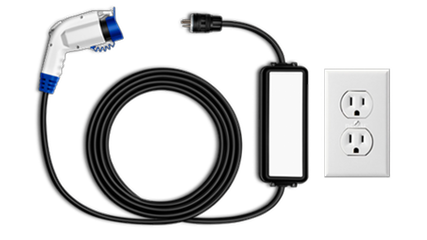 Today only GoE3 does support 70 A charging on Level 2 and it will come with the original Tesla roadster plug. There are also some older Clipper Creek charges in California that originally had the Tesla roadster connected. You can find these chargers are the Rabobanks. A while ago they have been converted to J1772, but this is really a waste when a Leaf is connected, but it only pulls 3.3 from possible 16 kWh. 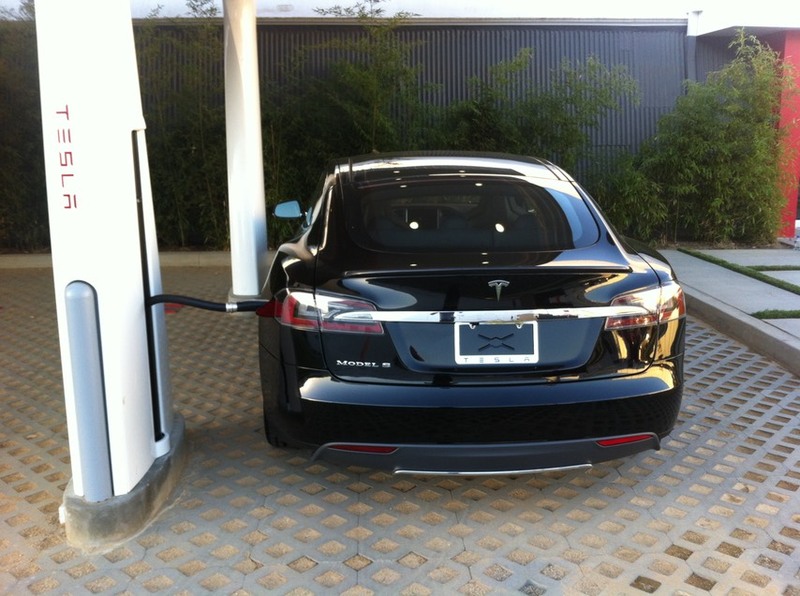 Below is a picture of charging at the Rabobank in Goletta, CA. Level 3 is basically DC charging. There are various offerings. Here the folks are measuring in kW. Most of the time you are getting 50 kW to 100 kW. There are DC chargers with a japanese standard (ChadeMO) which is and will never be compatible with Tesla vehicle, however Tesla will engineer in the future an adapter to the new J1772e (extend) plug. 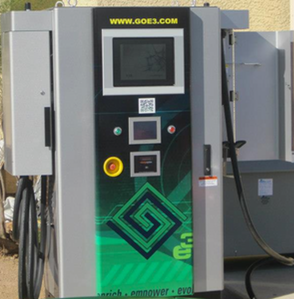 This way you will be able to DC fast charge at an goE3 DC fast chargers as well. Blink DC (ChadeMO) fast charger do not support charging for Tesla vehicles. In September, Tesla unveiled the Supercharger network. Tesla’s internally developed and manufactured Supercharger is substantially more powerful than any charging technology to date, providing almost 100 kilowatts of direct DC power to Model S. This enables Model S owners to regain up to 165 miles of range in 30 minutes with the 85 kWh car, about the time needed for travelers to refresh or grab a meal. This marks an inflection point in electric vehicle convenience for long distance traveling. The initial Supercharger network already covers all common long-distance routes in California, enabling convenient and free driving throughout the state, as well as to Las Vegas or Lake Tahoe. East coast travel all the way from Boston to Washington, DC, was enabled in December 2012. Personally we supercharged in LA in October 2012 and got 378 V x 225 A which equals to 97 kW. This was a pretty fast charge. Tesla is even offering at a later stage 120 kW charging. See below movie that last less than 1 min and charges already 2 miles during this time. See the movie that proves the supercharger fastness below. 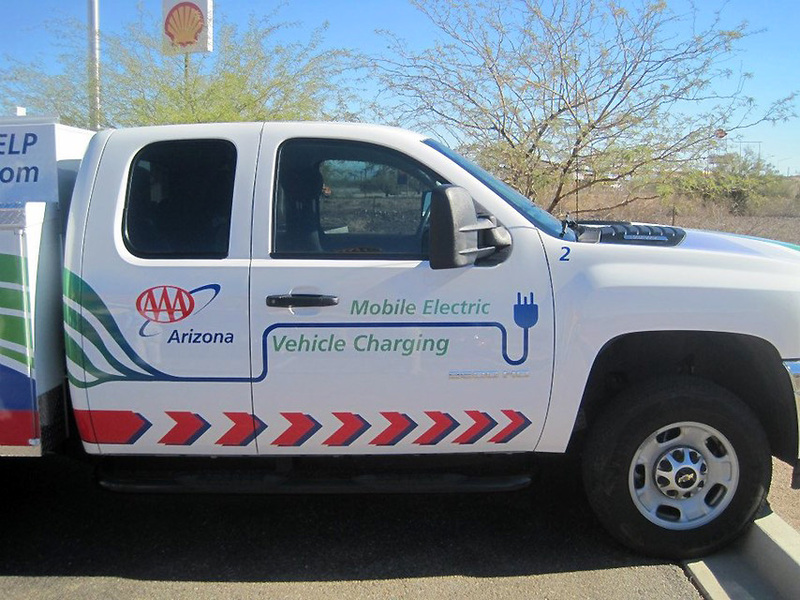 Even if you are too far away from the next charger and you cannot find another charger on Plug-share (app) then you could emergency charger with AAA or another road site assistance team. 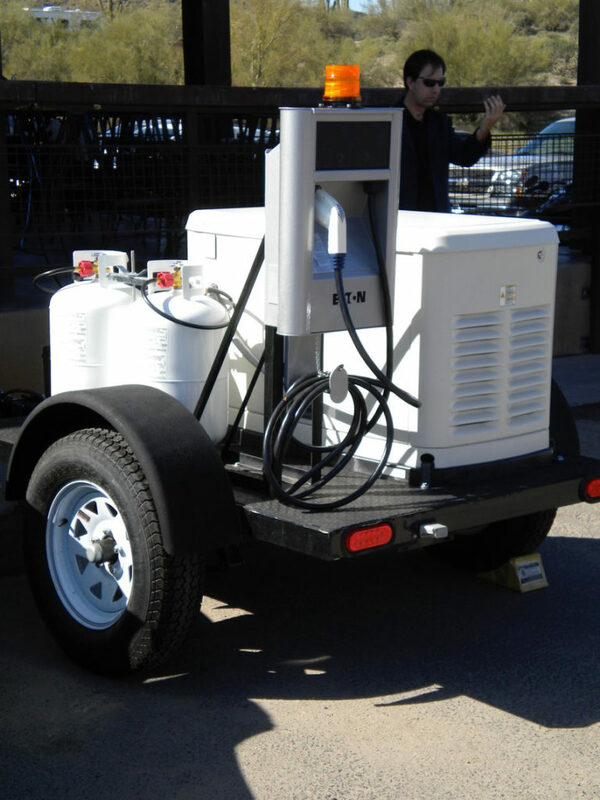 There is actually a company in Phoenix Arizona that produces portable chargers for trailer or trucks. The company is called EV Mobile Charging.